As known well in sports science circles, a critical factor to determine whether a person has talent for short sprint-type exercise or rather longer duration endurance-type exercise, is the muscle fiber type composition. Human skeletal muscles are composed of a mixture of fast (white) and slow (red) fibers. 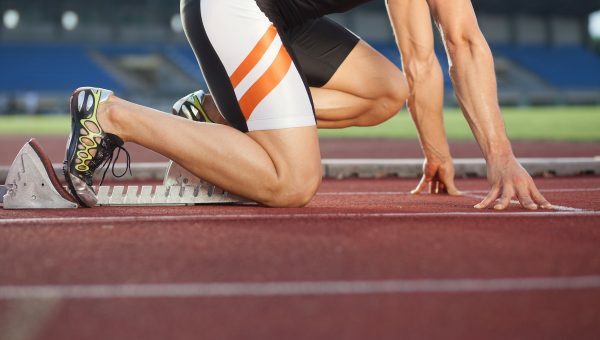 Some people have predominantly fast fibers, and are born sprinters, and others have relatively more slow fibers, and are destined to become endurance athletes. This fiber type distribution is largely genetically determined and therefore it is an important factor in identifying athletic talent in various sports. The reason why this important aspect was almost never measured (until now) in sport science practice, is because it required an invasive muscle biopsy. However, Professor Wim Derave and his team (‘Team Derave’) developed a technique in recent years called Muscle Talent Scan that can accurately estimate the muscle fiber type composition without biopsies, thus non-invasively, by an MRI scanner. This made it possible to analyze an athlete´s genetic potential for particular sporting activities and disciplines. During the course of the last 2 years, Toshiba Medical collaborated with Team Derave with the objective to (1) apply the technique in various elite sports settings and (2) develop it further on the level of talent identification, training optimization and injury risk profiling. On the occasion of the 2016 conference of the Radiological Society of North America (RSNA), Toshiba Medical organized a dedicated session on ‘Breakthroughs in CT and MRI’, where the prestigious collaboration between Ghent University, Toshiba Medical and Manchester United was announced. The RSNA hosts one of the largest medical meetings, each year in November in Chicago. 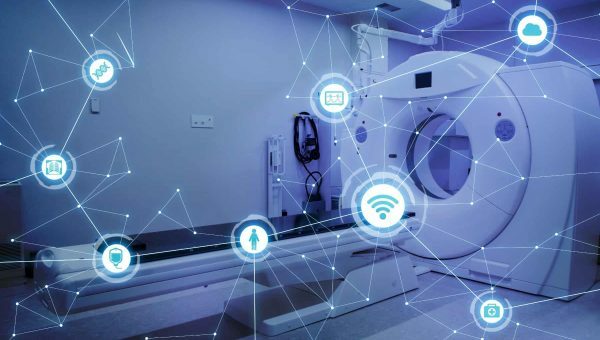 With over 50,000 attendants it is the premier occasion for medical imaging companies to showcase their newest products and most exciting innovations. 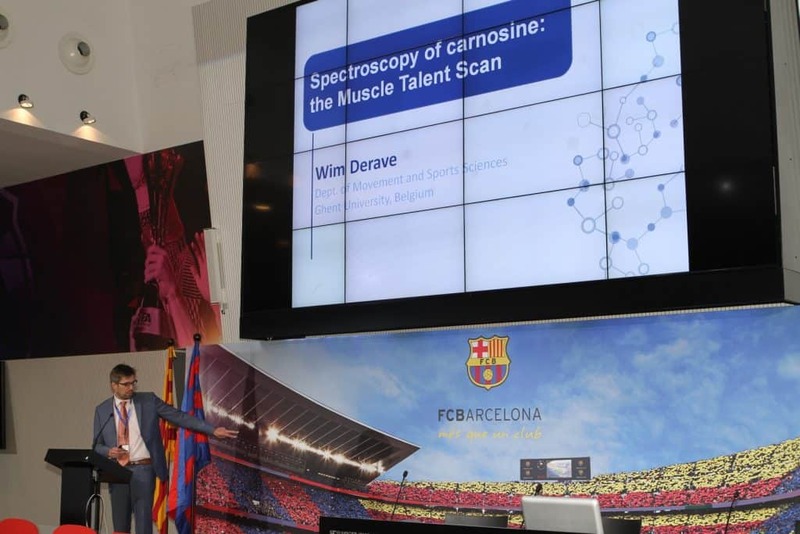 With a lecture on ‘Sport science innovation: Elite athlete profiling with muscle MRI scanning’, Wim Derave of the Department of Movement and Sports Sciences at Ghent University discussed the opportunities of the Muscle Talent Scan. His presentation can now be seen on the net. In the meantime, Toshiba Medical provides medical imaging equipment, including state-of-the-art 3T MRI systems, to three of the most prestigious sport teams in the world: Manchester United, FC Barcelona and Real Madrid. Their collaboration with the research team of Wim Derave is directed to explore applications beyond the clinical and to translate research into sport science practice. At this moment in time, Prof Derave is staying for 6 months in Australia. His goal is to connect with local sports performance trainers, training institutes, scientific research groups, etc. His next lecture is planned this week at Griffith University. Want to get more detailed information? Don´t hesitate to contact us.